We encounter a lot of things that are made in China these days, but in this store you’ll find things that are really Chinese. There’s something to be said for Chinese decor. It’s kitsch, yes, and I really love it. It’s always colorful and somewhat dainty. There’s a store near Nahalat Binyamin, in an alley that connects between Nahalat Binyamin and the Carmel market where you will find this store… which has no name at the moment. It’s the China store. 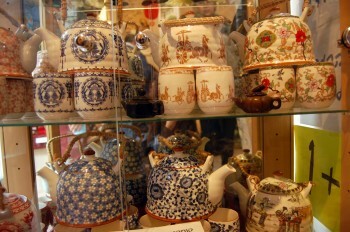 I loved the teapots! I can’t choose which one I’d like to have most. 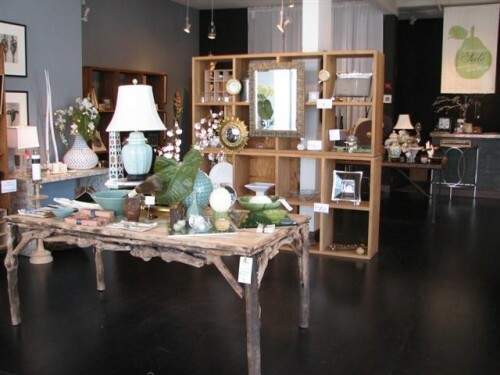 Blue Bandana is one of the most beautifully designed stores I have ever seen. It’s clean, fresh and so inviting. The store was opened about 19 years ago by Betty Gehorsam (On my cellphone – Betty Blue Bandana) and Limor Gorali, two mothers who met because their kids were in the same class. The two ladies go on shopping trips a few times a year to Europe and India (green with envy here) and have the following policy : “If we wouldn’t put it in our homes, we won’t sell it in our store”. 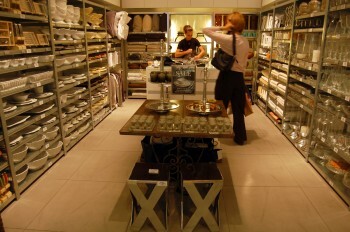 You can definitely feel that, despite the cold metal shelving, the products and atmosphere in the store are very homely. 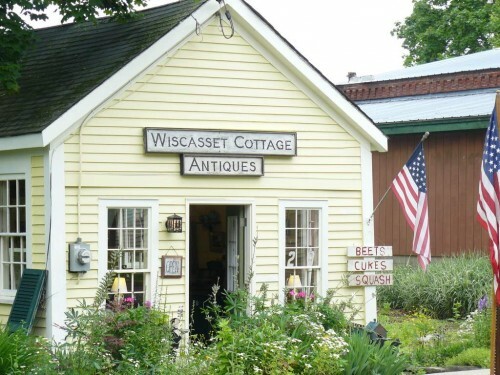 Unlike some stores that sell fashionable items, this store sells products that exude warmth and a cozy atmosphere. Shine is the creative outlet for Susan Hornbeak Ortiz, the co-owner and designer. The style of Shine is very Southern Califiornia slick. Like Palm Springs during the rat pack years when Courrèges was king. And the furniture reminds me a lot of movies from that era as well – with a twist. 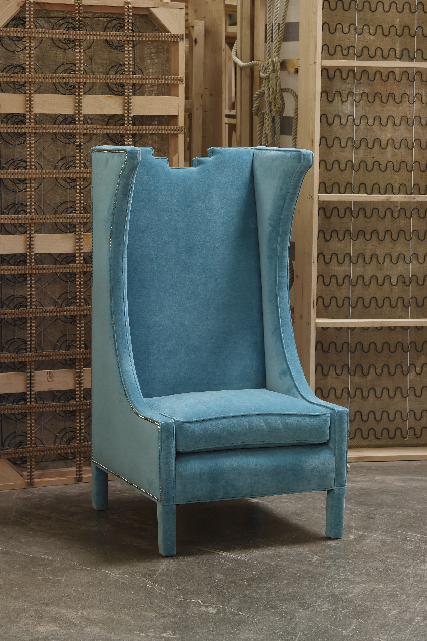 The fabric of the piece above with the traditional fabric tacked edges is very mid-60′s – but the cut out from the top of the back is something different. An Asian influence in shape. I was contacted by Southern Living magazine to find out if I would like to review their magazine for Tchochkes. Well, I love Southern Living and their country cottage look – so why not?! We agreed they would send me a magazine and then I would review. I waited. And waited. And waited. Finally I get an email from them asking about the review. Well, I never received the magazine. Apparently someone in the Israeli Postal System decided they needed to check out Southern Living even more than I did – because it never arrived here. So I got pdf’s instead. Which is ok, but not the same as a magazine. You can’t hold a pdf unless you print it out. And then the quality isn’t the same. It’s not bound. You can’t sit with your girlfriends on the sofa gazing at photographs and pointing out what you love and hate. In short – I want my magazine! *Sigh* Isn’t that stunning? The picture is from “Chattanooga Bungalow” an article on southern bungalow design (and as you know – I’m a sucker for the bungalow). Admittedly, I would have gone for a deep strawberry red door – which would also be more traditional, but it would also be kind of expected. I’m loving the orange. You know the man is single though – that carpet. I have to wonder if he rolls it up when he invites people over. Or only serves white wine? 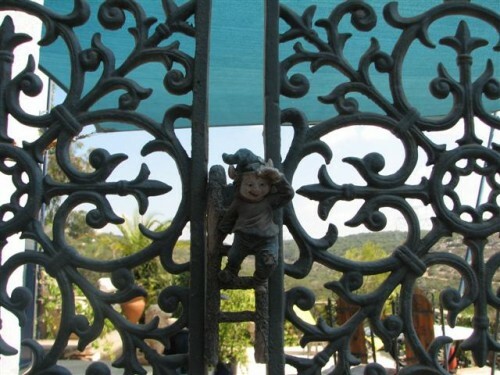 Part 1 of the “Somewhere in Israel” Home Tour was posted on Monday. From the living room we go into the kitchen, which has as much visual activity as the rest of the house. I love the drapes instead of doors. The color is vibrant and wonderful. These drapes also looked especially crisp, like they had just been ironed. By request of the owners of this home I’m restricted from using their names or location – but I can show my pictures – so I’m good with that. As such, for this post I’m calling the woman W and the man M. Yes, I know, original. From the moment you get to the iron gate blocking their front door from the backyard you can see that this is no ordinary home. I took so many pictures (over 160) this post will be continued on Wednesday and Friday this week. Pa’am in Hebrew means something like “long ago” or “once upon a time”. 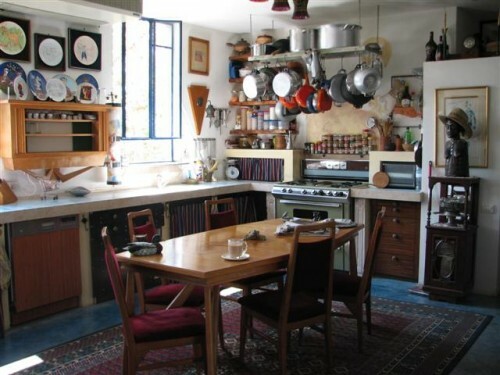 Studio Pa’am (site is in Hebrew only, unfortunately) is located in Jerusalem and creates wooden furniture and metal decorative objects in a way that looks like you just found it in a barn and yet it’s still in great condition. 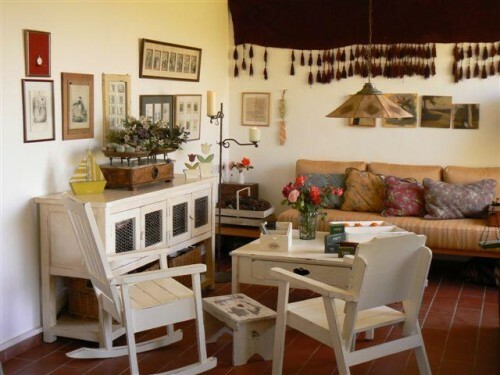 The studio is run by a couple whose style is consistent, and while I wouldn’t decorate an entire house with their work, I would love several pieces from their collection. 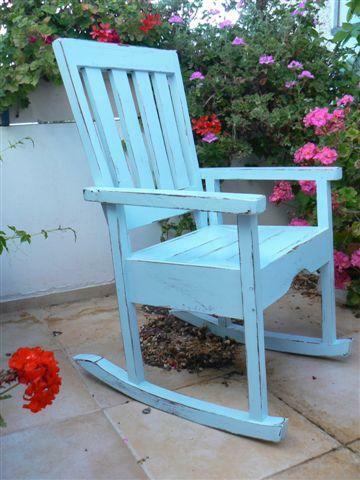 Like this blue rocking chair. I love the color and the simplicity of the design. Itay Noy designs watches and clocks – as we don’t do fashion accessories here on Tchochkes I’m going to tell you about his clocks. Table clocks to be specific. High end rather exclusive table clocks to be exact. 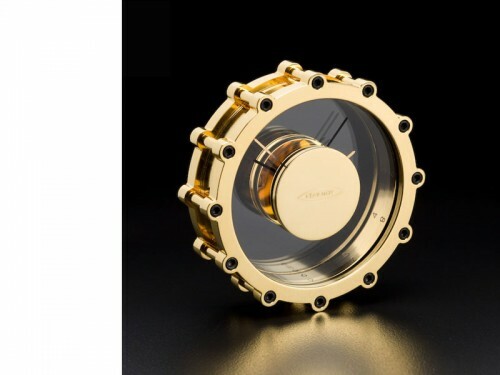 Gorgeous, gold, kind of bling bling table clocks. The Double Time clock (above) is my favorite of his collection (it’s also the most expensive – why is it always like that?) and costs $4,600 USD. Itay studied at Bezalel Academy in Jerusalem, Israel and has his Masters Degree (M.Des) from the Design Academy in Eindhoven, Netherlands. Currently he teaches watch design at Bezalel.